AMAZING RACE FANS! Here’s your FIRST CLUE… WATCH this VIDEO! Tina and Christa had a dream to run The Amazing Race so they can DONATE their WINNINGS to ALECares, a non-profit that helps families displaced by natural disasters (e.g. fire, tornado, hurricane). You can JOIN THEM and FINISH the race STRONG! Simply LIKE and SHARE this post to GIVE BACK by MAKING their DREAM a REALITY! 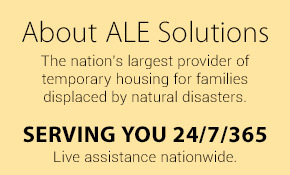 Post by ALE Solutions, Inc.